Professor Stroud's current projects include the study of Rydberg atomic electron wave packets, multilevel quantum logic, generation of quantum states of light via electromagnetically induced transparency, and entanglement and teleportation of macroscopic states of matter. The group considers coherent control of the shape of an atomic electron's wavefunction using a train of short transform-limited laser pulses. This type of control is experimentally demonstrated by exciting with a train of three pulses and measuring the resulting quantum state distribution. The group also presents a general theory for control with a train of N pulses in the weak field limit and discuss the extension of this theory to the strong field limit. Advance of quantum optical science in the past few decades has now come to the engineering era of real practical application, which has been witnessed in recent years in the areas of secure communication, metrology, sensing, and potentially future advanced computing. Chip-scale implementation would not only dramatically enhance the complexity and capacity of information processing, but also enable novel functionalities which are otherwise inaccessible in room-wide/table-top experiments. Recent advance of integrated quantum photonics has resulted in intriguing powerful functionalities that start to go beyond the reach of classical computing. Indeed, human beings have already experienced a similar technological advance in 50s-60s. The technological transformation of electronic processors from a room-wide size down to a chip scale eventually revolutionized our modern society. Although integrated quantum photonics is only in its infant stage, its future advance may bring similar or even more profound impact to our lives in the years to come. Envisioning such potential far-reaching impact, we are dedicated to exploring and developing chip-scale approaches that are capable of generating, processing, storing, and detecting versatile photonic quantum states on a single chip, aiming for broad applications in computing, communication, and sensing, by taking advantage of the intriguing quantum mechanical principles. Quantum Silicon Photonics: We currently focus on silicon platform to develop various quantum photonic devices. Silicon turns out to be an excellent material for this purpose. We have produced photon pairs and heralded single photons with extremely high purity inside high-Q silicon microresonators. By integrating novel physical mechanisms, innovative device design, together with advanced nanofabrication technology, we hope to open up a research avenue towards quantum silicon photonics that will eventually form fundamental building blocks for future quantum photonic interconnect. His recent research has focused on the creation and study of ultra-cold quantum gasses, the manipulation and control of atomic motion using light pressure forces, the laser cooling and trapping of atoms and molecules, Bose-Einstein Condensation (BEC) and the basic quantum nature of the basic atom-photon interaction. Professor Bigelow's Cooling and Trapping (CAT) Laboratory of is leading a world-wide race for multispecies BEC in a single trap, and is carrying out experimental and theoretical studies of molecular interactions at low temperatures. Entangled photon pairs are essential for a number of applications related to quantum cryptography, quantum computing, and quantum communications. Professor Agrawal's group is employing four-wave mixing inside optical fibers for creating photon pairs that are correlated in a quantum sense and thus can be used to create a source of entangled photon pairs much brighter than possible with other conventional techniques. The manipulation and control of quantum information requires infrastructure suitable for efficient generation, transduction and storage. Research in Professor Renninger’s lab addresses this challenge through the study of photon-phonon coupling and storage in bulk crystalline resonators. By accessing long-lived phonons with light through a photoelastic interaction known as Brillouin scattering, new photon-phonon dynamics are enabled. This traveling-wave optomechanical system is ideal for quantum information processing, ultrasensitive metrology, and fundamental tests of quantum decoherence. In addition, optical access to ultra-long lived phonons in any transparent material is highly desirable for basic material science. The group explores new directions in traveling-wave optomechanics both theoretically and experimentally. Professor Eberly's research interests are in the general field of theoretical quantum optics and AMO science. Recent results from his group include calculations of single-photon wave functions localized in free space that exhibit the binding effects of quantum memory, an examination of cross-talk in qubit chains, and the derivation of a novel "dark area" theorem that governs nonlocal effects in coupled optical pulses. 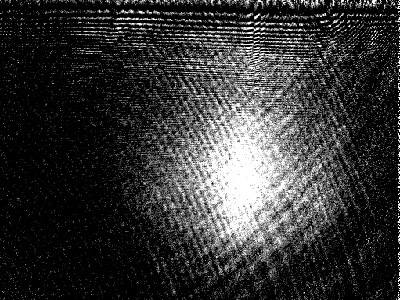 Themes of interest include quantum information and the dynamics of entanglement in continuous Hilbert spaces, coherent quantum control via counter-intuitive dark-state interactions, cavity QED, soliton and adiabaton propagation, and non-sequential double ionization of atoms exposed to high intensity radiation. 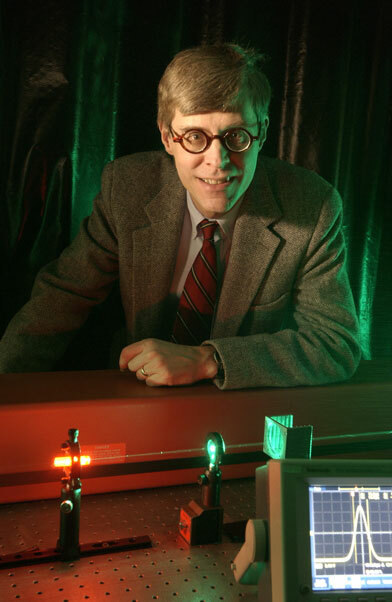 Dr. Boyd is interested in the study of quantum states of light, especially in the context of quantum imaging. This research is motivated toward the development of laboratory techniques to generate multimode squeezed and entangled states of light and the use of these quantum states of light in the development of imaging systems with enhanced imaging characteristics. Professor Boyd is also interested in the use of quantum interference effects such as electromagnetically induced transparency to develop new nonlinear optical devices. His group is determining the utility of using third-order nonlinear optical interactions for this purpose. Such interactions hold particular promise for quantum imaging for reasons including the fact that they can produce quantum states of light without producing a large wavelength shift on the generated beam.